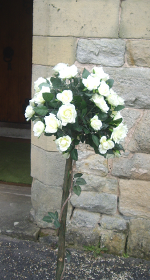 Q: Can we get married at St Oswald’s Worleston? A: Yes, we'd love you to get married here. We have a very attractive church with a congregation which loves having weddings in this church. There are some legal qualifications. 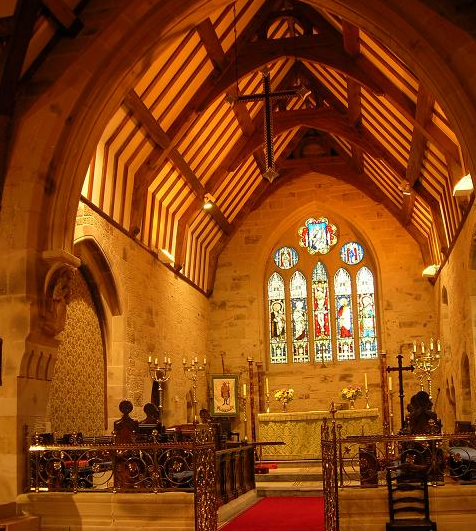 In order to get married in a Church of England church you have to live in the parish or have a ‘Qualifying Connection’ with the chosen church, such as your parents being married there for example. Q: What about church bells? A choir? A: Unfortunately we do not have a church choir at St Oswald's. (If you want a choir to lead the singing, this can sometimes be arranged; there is an additional cost for this.) We have very good electronic bells (not bellringers) and would happy for these to play before and after the wedding service; no charge is made for this. You also have to arrange for your 'Banns' to be read. [i.e. your names and intention to marry are read out in the church at the Sunday service for three consecutive weeks during the three months prior to your wedding.] We arrange that at St. Oswald's for you and the fee is included in the figure above. They also have to be read out in the local church where you both live if you do not live in Worleston parish. They give you a 'Banns Certificate' to say they have been read and that no objection was raised. It is your responsibility to arrange this and give the certificate [s] to St Oswald's we cannot marry you without that/those certificate. There will be a fee payable at the church of £34. A: Yes, we are pleased for you to have confetti if you would like. However, we do ask that your guests throw it as you leave the church grounds (by the pretty gate) rather than in and around the church itself.